Royalty-free stock illustration of a silly Santa Claus laughing hard and holding his giant belly. 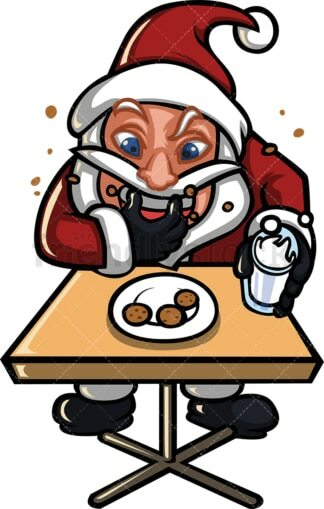 Royalty-free stock illustration of a Santa Claus stuffing cookies in his mouth while holding a glass of milk that almost spills out. 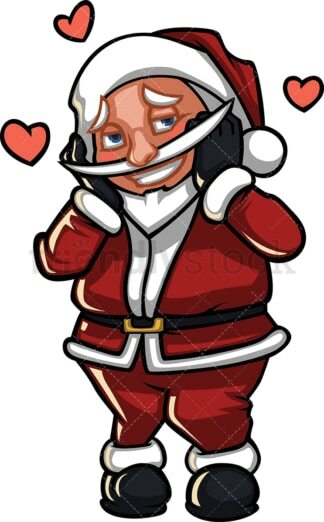 Royalty-free stock illustration of a shy Santa Claus with red cheeks. He looks like he has fallen in love with someone or something. 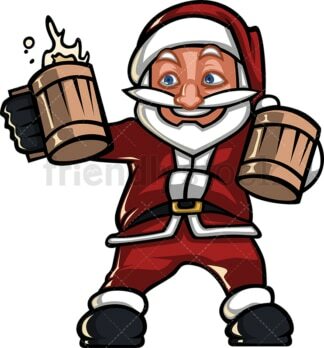 Royalty-free stock illustration of a silly Santa Claus smiling and about to drink some beer. Royalty-free stock illustration of a silly Santa Claus tangled in christmas lights, feeling woozy. 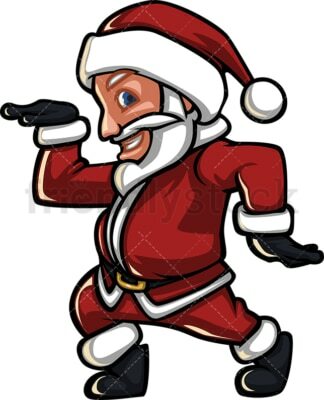 Royalty-free stock illustration of a silly Santa Claus smiling and foolishly jumping around. 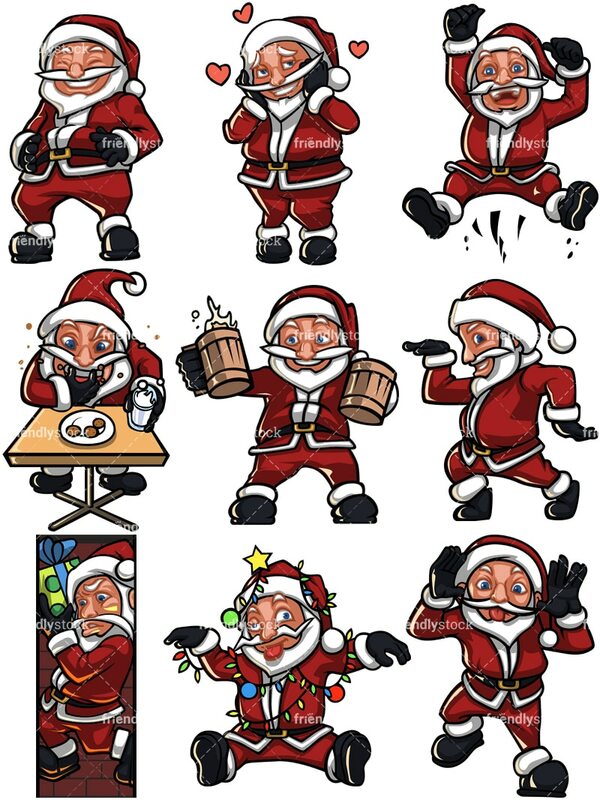 Royalty-free stock illustration of a silly Santa Claus dancing with some disco moves. Royalty-free stock illustration of a Santa Claus sticking his tongue out, waving fingers in ears, mocking someone.